FstCrs! : Why Does Europe Get All the Fun Hot Hatches? 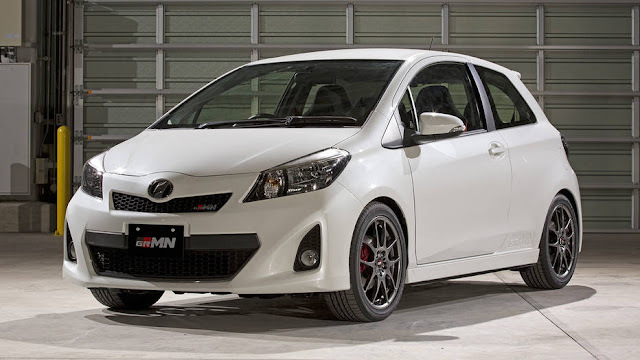 - Supercharged Yaris Coming! Why Does Europe Get All the Fun Hot Hatches? - Supercharged Yaris Coming! I have been a fan of "hot hatches" or "pocket rockets" - whatever you may call them - ever since the sub-category of cars was invented by the original VW Golf GTI, way back when! My own daily driver is not necessarily a hot hatch, but it's a 2012 Chevy Sonic LTZ, with a 1.4L turbocharged engine that's quite fun to drive - for my needs. Someday I'm going to get myself a GTI, but I like to follow this genre of cars, as it puts fun-to-drive and not-too-expensive vehicles within reach of normal folks, like me. Not everyone has a superbly popular money-making YouTube channel chronicling their Lambo's and Corvettes -right? I love this category, but I hate reading stuff like that, that a new supercharged Toyota Yaris - will be available only in Europe! Just like the Hyundai i30N I posted about last week - it too is destined only for the other side of the pond. I've never driven a Yaris, supercharged or otherwise, but they look like they'd be fun to drive, especially the supercharged variant, which is supposed to have 205hp! Yowza!